From art installations and festivals to cultural spaces and galleries – we’re looking for great project ideas that bring the arts to life! With funds on offer, dedicated support and resources aplenty to help you plan your campaign – there’s no better time to get your arts and cultural projects off the ground. The Esmée Fairbairn Foundation, Barclays Life Skills, #MakeHull and Lewisham Homes are just four of our Spacehive partners supporting arts projects crowdfunding across the UK. The Esmée Fairbairn Foundation is looking to fund new ideas for creating more vibrant local communities in Manchester, Hull and Lewisham. They’re offering pledges of up to £2,500 and £15,000 to individuals and organisations respectively. Barclays Life Skills is using Spacehive and crowdfunding to get young people running campaigns that develop skills including marketing, writing press releases, creating videos, and pitching to local businesses. If your team includes young people between the ages of 16 and 24, you could earn a pledge of up to £500 to bring your arts project to life. The #MakeHull initiative aims to make Hull a city to be proud of, a great place to live and to visit, by supporting arts and cultural projects in the city. They’re offering pledges of up to £5,000 to suitable projects. Lewisham Homes will pledge up to £5,000 to support projects in the area that will benefit Lewisham residents or groups. Discover all of the funds on offer here. Check out these great arts projects who received support and funding from our partners before going on to successfully hit their targets! The New Cross & Deptford Free Film Festival raised over £6,000 from 37 backers, including The Esmée Fairbairn Foundation and The Timberyard, to run thirty free film events over ten days, organised by and for local people. The York Arts Barge raised over £23,000 from 250 backers, including the Joseph Rowntree Foundation, to turn a barge into a unique arts and performance venue. The Hull Folk and Maritime Festival raised over £19,000 from 132 backers, including the #MakeHull Pioneers, for a community folk festival. Colour in Romford raised over £24,000 from 44 backers, including the Mayor of London, to bring street art to the high street. 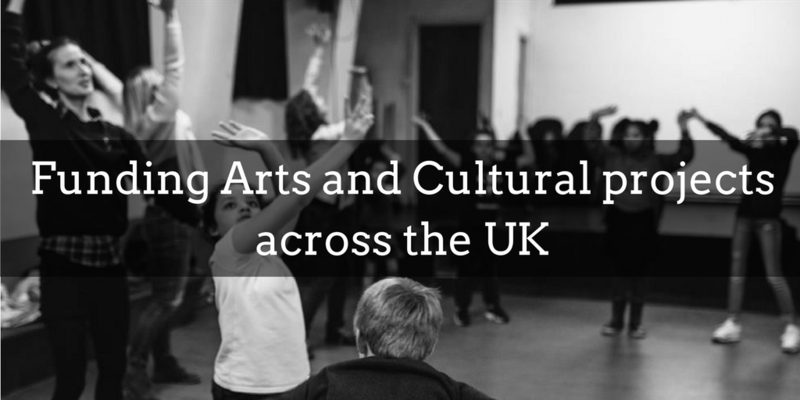 Discover more exciting cultural projects here. Crowdfunding can be challenging but we’re here to support you every step of they way. Download our complete guide to crowdfunding here to start planning your campaign and then sign up for one of our free workshops and webinars for expert advice and support.